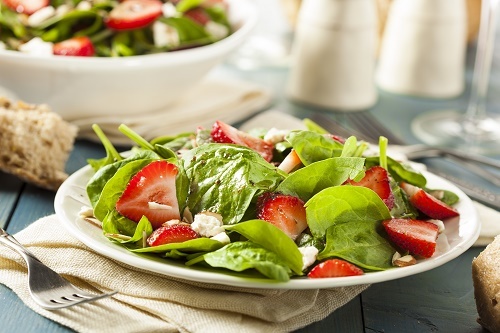 Chop up spinach and strawberries and toss together in a bowl. Whisk olive oil, white wine vinegar, pepper, salt, sesame seeds, sugar and poppy seeds together, and dress the salad with it. Serve cold, topped with feta cheese.